The last date to apply for the above posts is February 28, 2019. 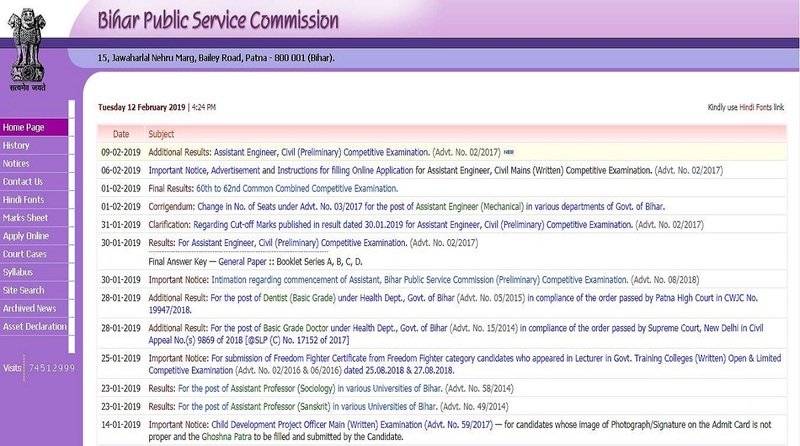 Total number of vacant posts is 1284. • The candidates should be between 21 and 37 years old. • However, reserved category candidates will get age relaxation according to the government norms. • The selection of the candidates will be done on the basis of a written examination. • The examination will consist of 6 papers. Out of which, 4 papers will be compulsory and 2 will be optional.